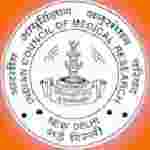 ICMR recruitment 2018 notification has been released on official website www.jalma-icmr.org.in for the recruitment of total 03 (three) jobs out of which 01 (one) for Scientist-C, 02 (two) for Technical Assistant vacancies. Walk-in-Interview 12th January 2018. Here on this page you will get the details like the Name of vacancies released by ICMR with exact number of posts. Some other criteria like Education details, application fee and way to apply application for ICMR recruitment 2018. Educational Qualification: First Class Master Degree in relevant subjects (Biochemistry Microbiology/ Biotechnology) from a recognized university or 2nd Class M.Sc. + Ph.D Degree in relevant subjects from a recognized University for S.no-1. Three years Bachelor Degree In Statistic/ Microbiology/ Biochemistry/ Biotechnology subjects from recognized university with DMLTI Certificate for S.no – 2. Age Limit: 40 years for S.no-1 & 30 years for S.no-2. Interested and eligible aspirants may appear for Interview along with all relevant original documents and a photocopy of the documents at the time of Interview. Venue of Interview: The Office of Model Rural Health Research Unit, Civil-Hospital Canlpus, Near Bus Stand, Haroli, District Una, Himachal Pradesh, Pin Code-177220.